Looking for a performance luxury sedan to cruise the Asheville streets? The new Acura TLX is a great choice. In terms of Acura performance parts, you’ll have your choice of three engines: a 2.4L inline-4 P-AWS, a 3.5L V6 P-AWS, or a 3.5L V6 SH-AWD. Couple this with the Acura TLX interior that gives you perforated Milano leather sports seats, ambient lighting, and a heated steering wheel and heated rear seats for those chilly Hendersonville days, and you’ll have the full package. There’s a lot to enjoy about the new Acura TLX at every trim level, from its performance features to the Acura TLX color options. 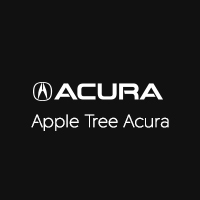 When you’re ready to bring a new vehicle home to Johnson City, explore the selection at Apple Tree Acura. Contact us today to schedule your test drive or explore our rental department to test one out.